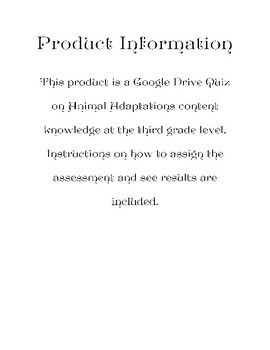 This product is a Google Drive Quiz on Animal Adaptations content knowledge at the third grade level, with ten multiple choice questions. Instructions on how to assign the assessment and see results are included. 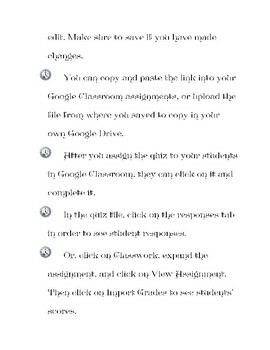 Google classroom is a great way to go paperless and save time on grading!